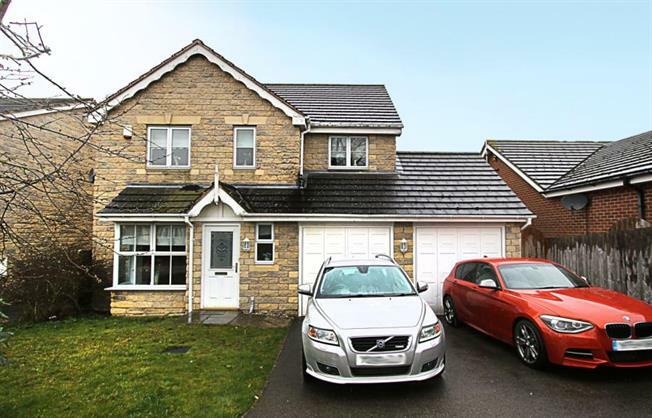 4 Bedroom Detached House For Sale in Sheffield for £240,000. Offered for sale with no chain involved is this four bedroom EX SHOW HOME. Situated in this cul de sac position, the freehold family home gives access to local amenities and public transport links. Located in an enviable position, the property would suit a varied purchaser and offers spacious accommodation. In brief the property comprises of the entrance hall with stairs to the first floor landing. The lounge features a fire surround and the dining room has French doors leading to the to garden. The kitchen contains a range of wall and base units, along with the utility room. The downstairs W.C. showcases a two piece suite. The first floor landing has four well proportioned bedrooms all with fitted wardrobes. The master includes an en suite shower room and the family bathroom houses a white three piece suite. Outside there is a garden to front, a driveway and access to a double garage. The rear garden is enclosed and mainly laid to lawn with shrub borders.